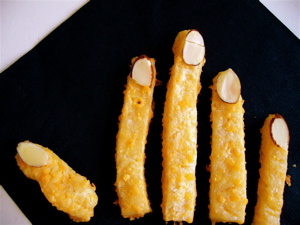 High-five for Halloween Finger Food. Posting this again for those who didn’t see it a couple of years ago. 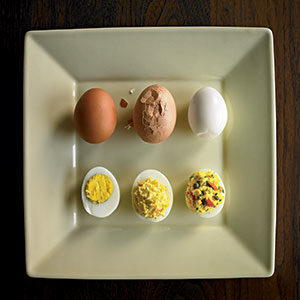 The story is old, but the recipe is still frighteningly good. Harumph. I’ve never been a big fan of Halloween. Adults in costume? Puh-leeze. But I do like to entertain. And Halloween is yet another good excuse for a party. The year I was laid off, boo-hoo, I rented out a room in my house to help ease my financial burden. It was late October. The new roomie talked me into hosting a Halloween party. With costumes. Ick. 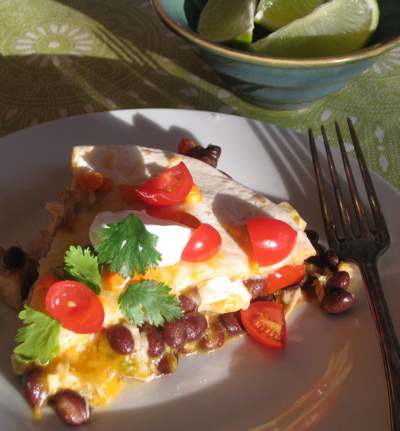 I had been laid off after 13 years of editing and writing about food…and developing recipes…and was in a witchy mood.